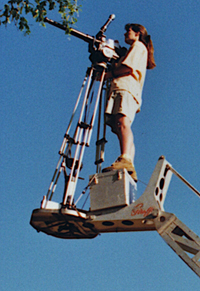 Lynne and Phil joined forces in 1994 to form Africa Wildlife Films. What started as a family business has now progressed into a well established production house. Since starting Africa Wildlife Films, they have separately and together, produced, directed and filmed natural history specials and sequences for a variety of documentaries, commercials and features. Together they have been nominated and won awards for documentaries across several genre. They are both members of the International Association of Wildlife Filmmakers (IAWF). 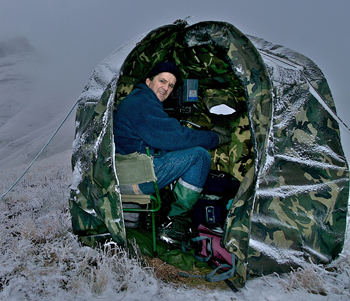 Phil has a zoological background and over 15 years experience as a wildlife cameraman and producer. He graduated with a D.Phil. in Zoology from University of Oxford and was a Senior Lecturer at University of Pretoria for nine years. He has supervised eight PhD and MSc theses on the behavioural ecology of various African mammals and has published over 40 scientific and popular articles. He has acted as Scientific Advisor for numerous wildlife films. Lynne trained in advertising and practiced for eight years. In 1983 she began to pursue her interests in documentary production and cinematography. During the past two decades she has produced, directed and shot many acclaimed and popularly rated films in more than twenty countries. She also gained experience 'in-front' of the camera co-presenting anthropological works as well as in the news arena. 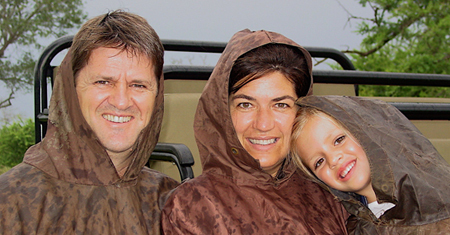 In 1994 Phil left a career in zoology and joined Lynne to form Africa Wildlife Films.